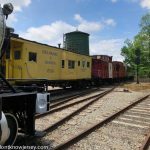 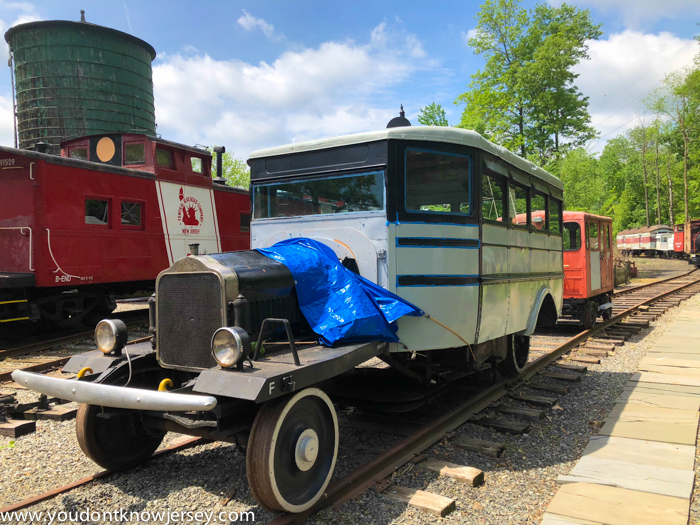 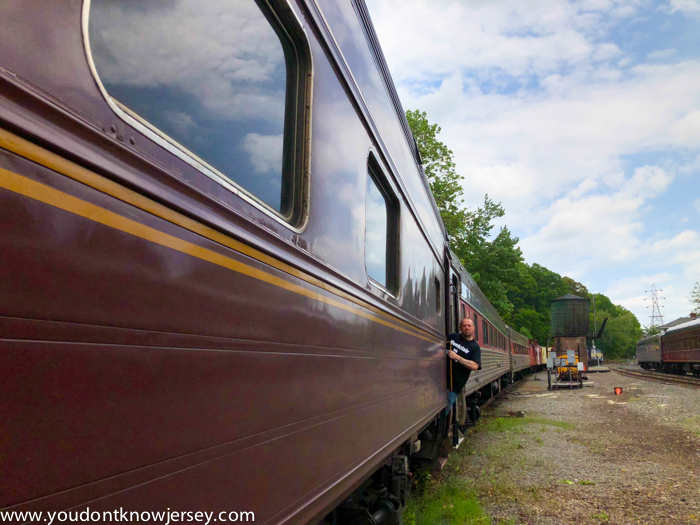 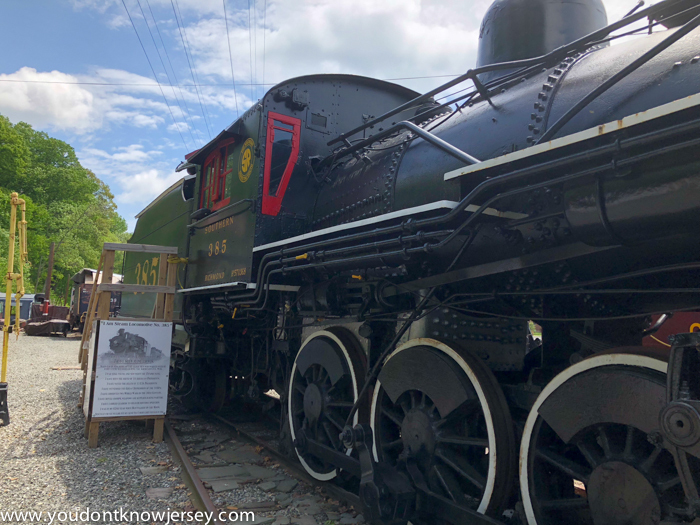 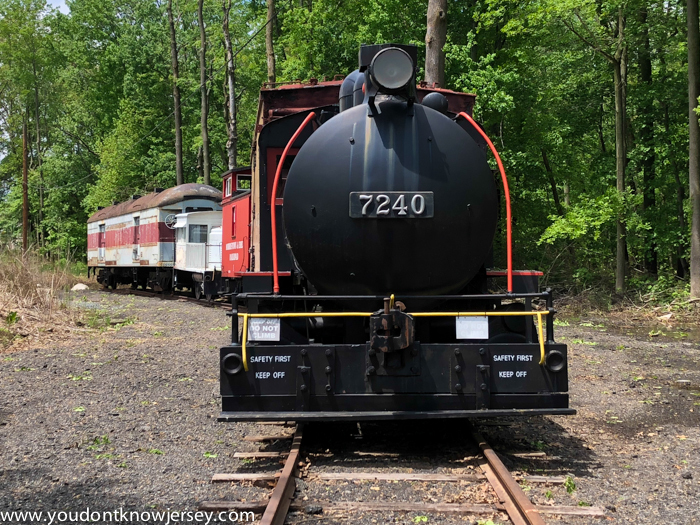 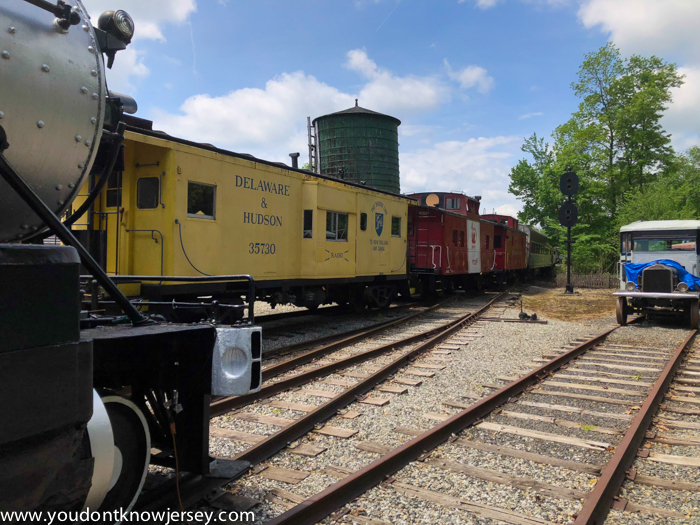 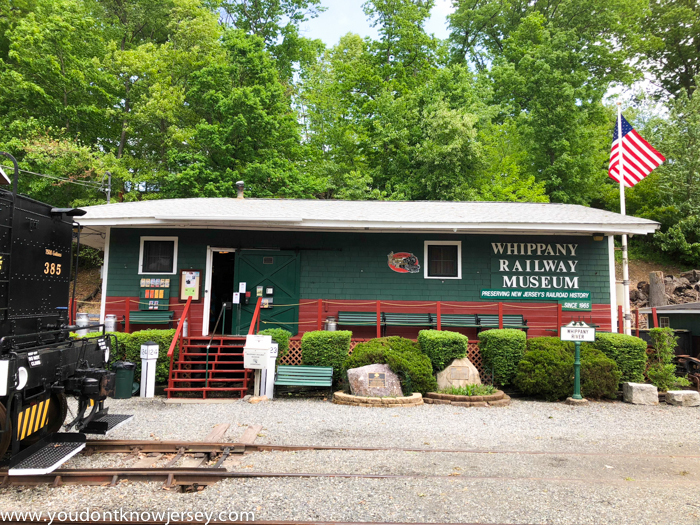 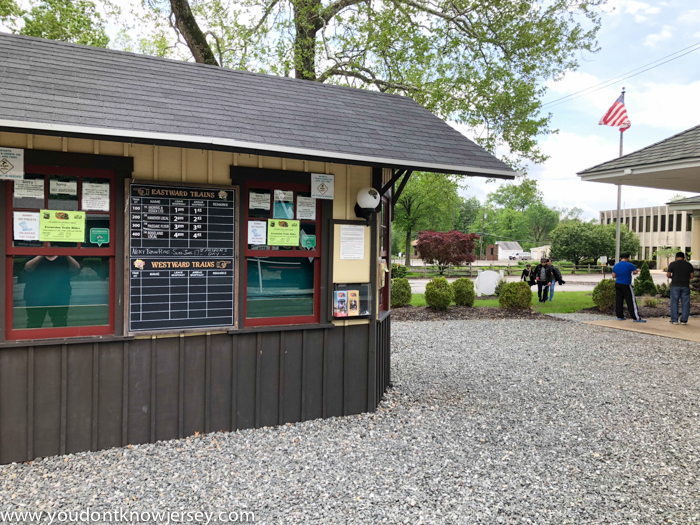 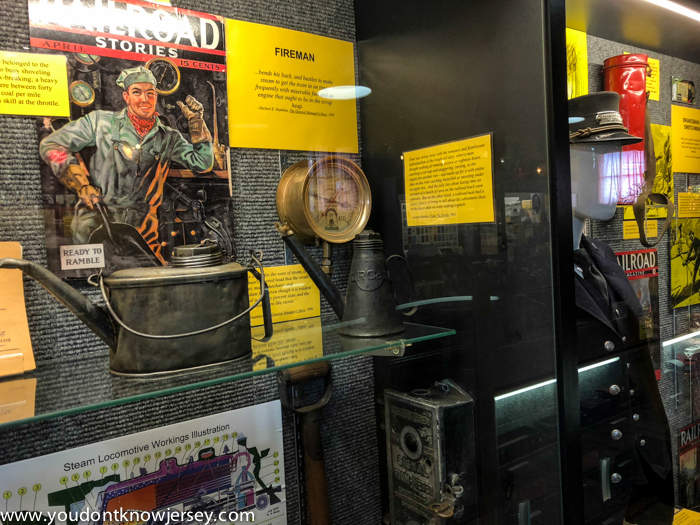 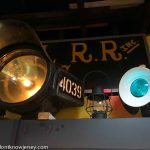 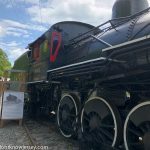 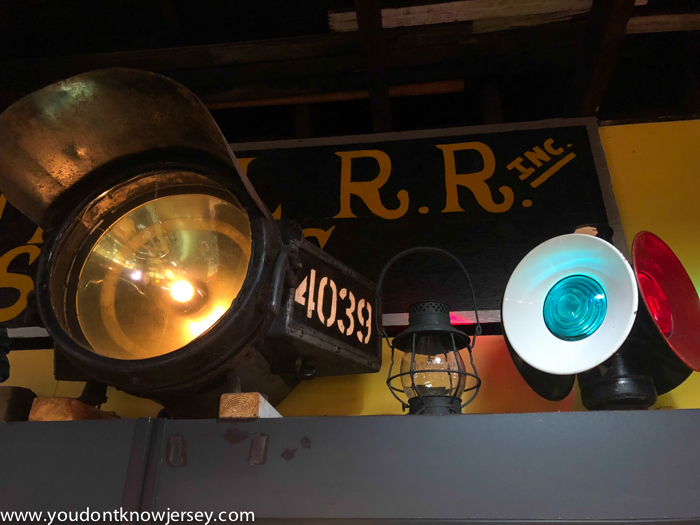 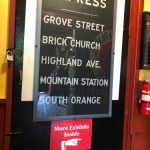 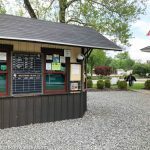 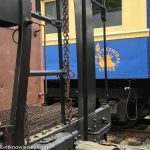 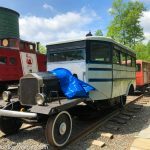 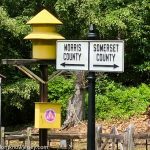 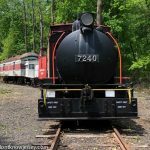 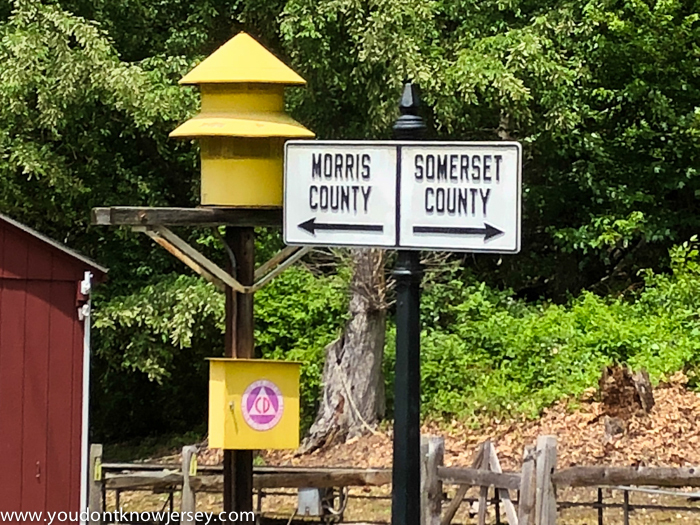 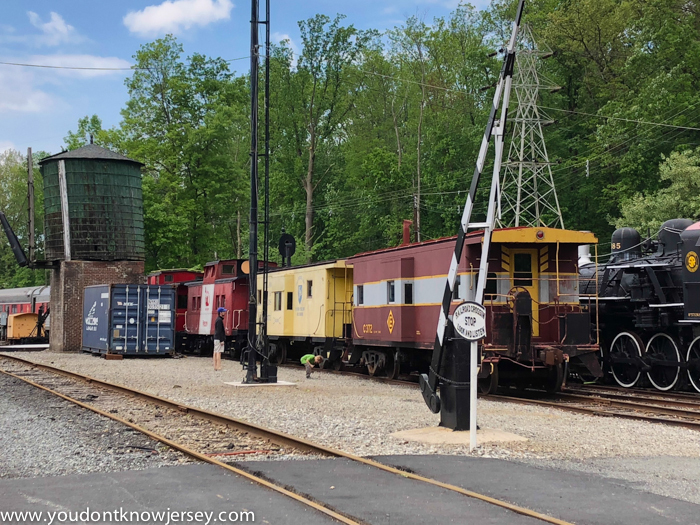 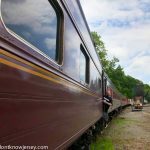 On a recent hot Sunday afternoon, we visited the Whippany Railway Museum. 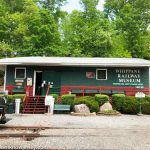 It’s right on Route 10 so it was easy to find and the only cost we incurred was a donation to go into the museum. 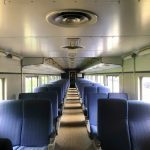 You can walk the grounds and inspect all the trains for free. 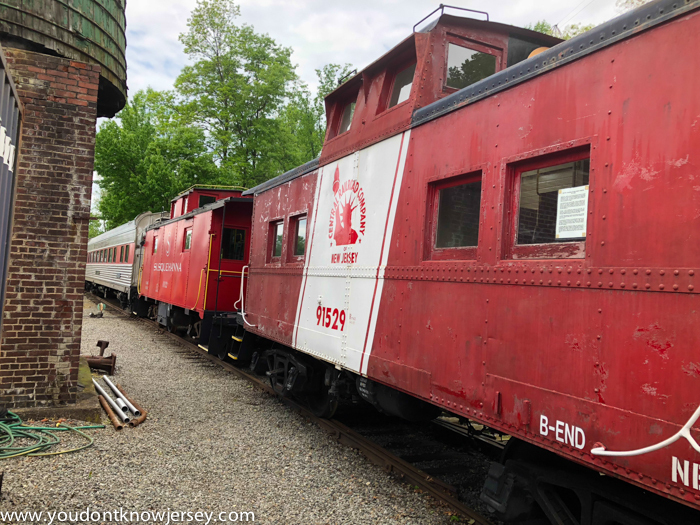 We had a great few hours browsing the very interesting exhibits in the museum and then walking all around the giant train cars all over the yard. 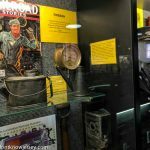 Note that the museum is only open on Sundays from April through October from noon to 4pm. 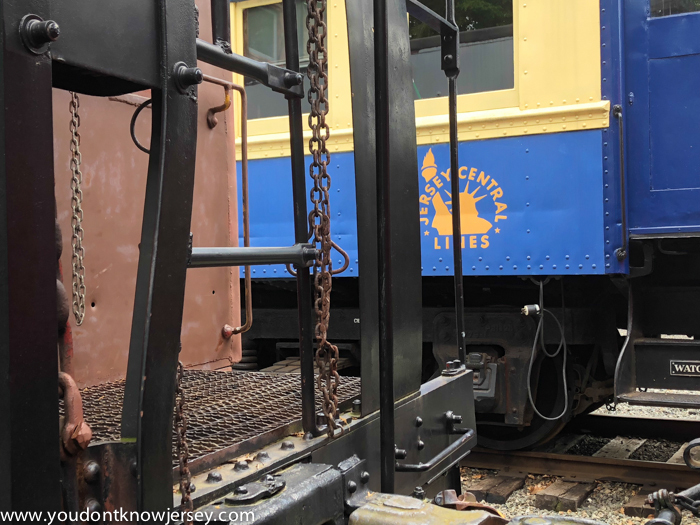 There were signs and tools to check out about how the trains are driven and maintained. 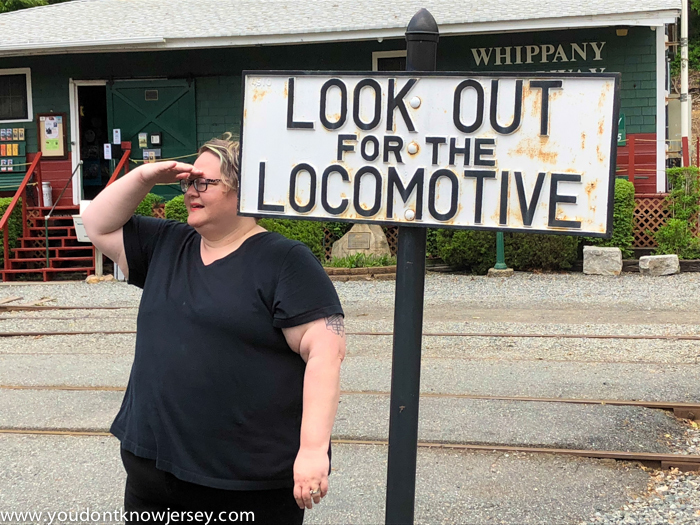 There was a lot of local history like what train tickets looked like around New Jersey and what lines there were all over the state. 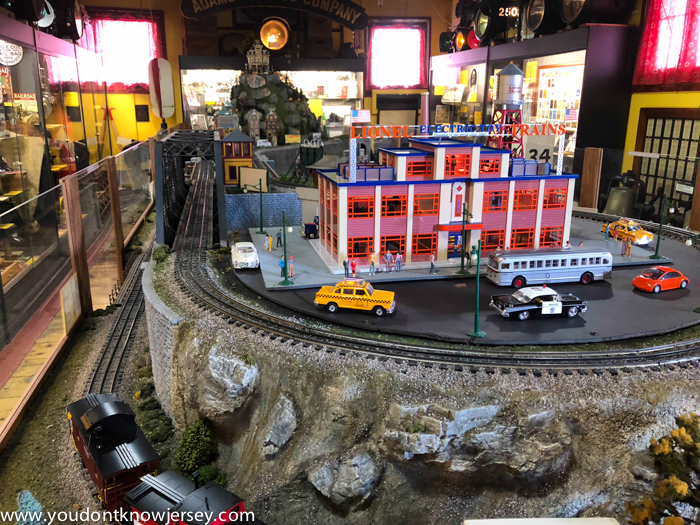 Right in the middle of the main room, there’s a giant model railroad that runs every once in a while. 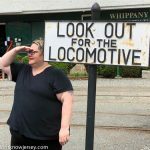 It’s huge and very elaborate. 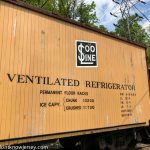 Definitely something to check out thoroughly. 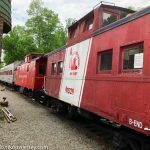 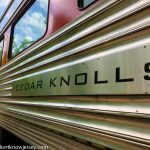 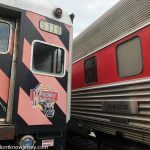 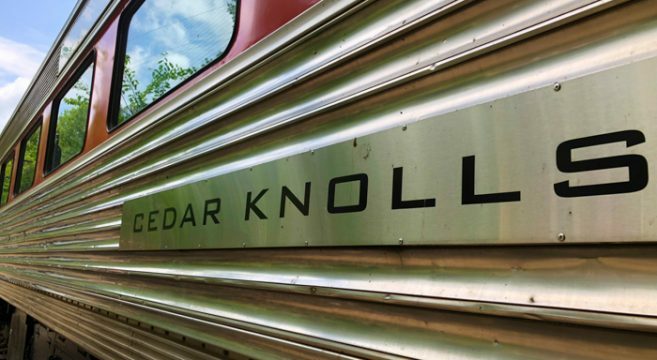 Once outside, there were lots of gorgeous old train cars, train engines and even cabooses to climb around on and check out. 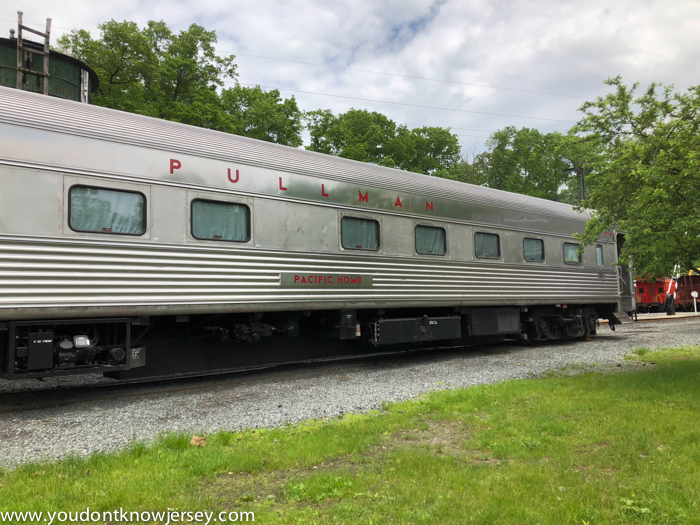 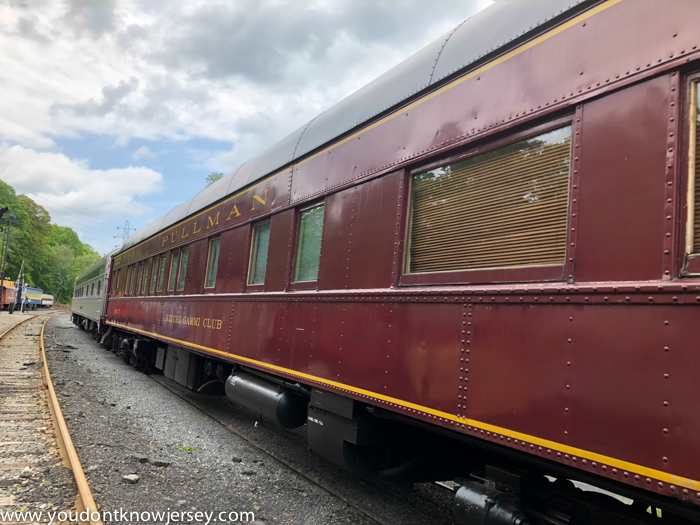 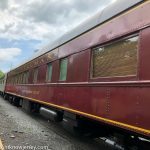 Pullman cars and cars from older New Jersey lines were among the most beautiful trains. 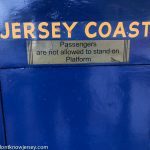 Most of the cars allowed you to climb up onto but you couldn’t see inside. 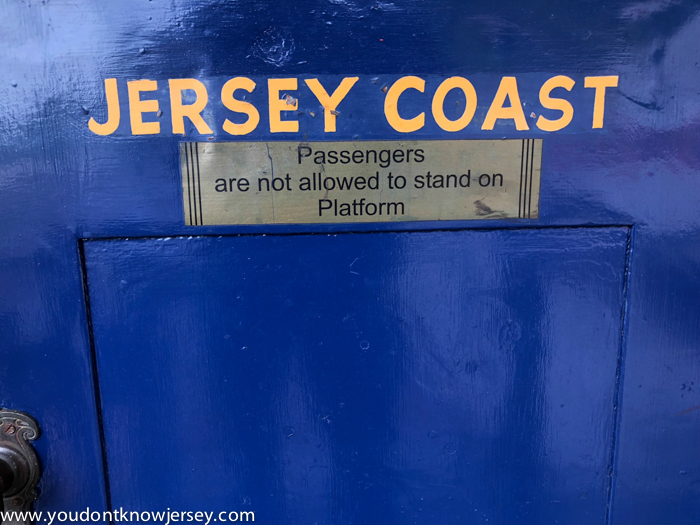 That was disappointing. 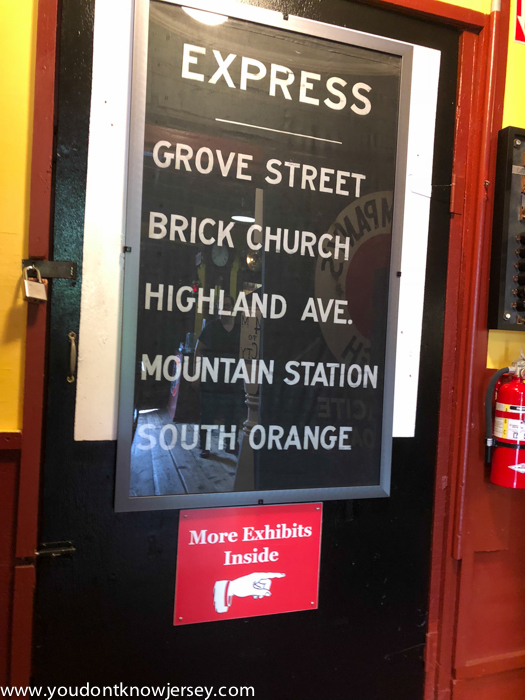 There wasn’t a tour guide outside so I’m not sure if they ever open them up to look inside. 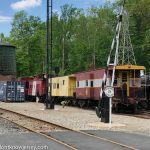 There was even a watering station and traffic gates set up around the yard. 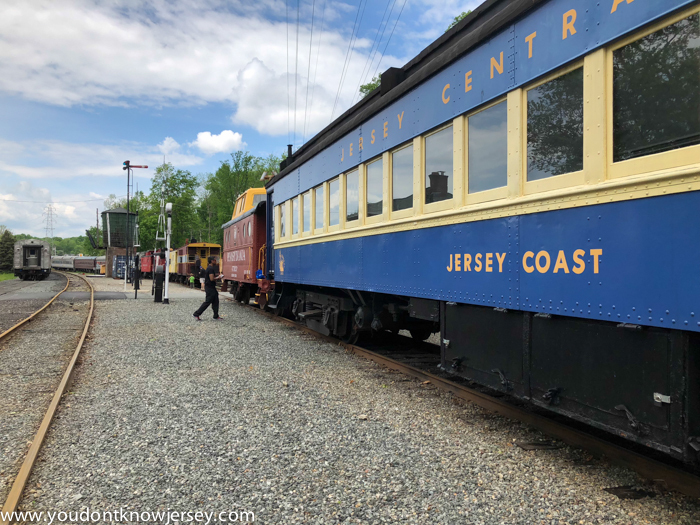 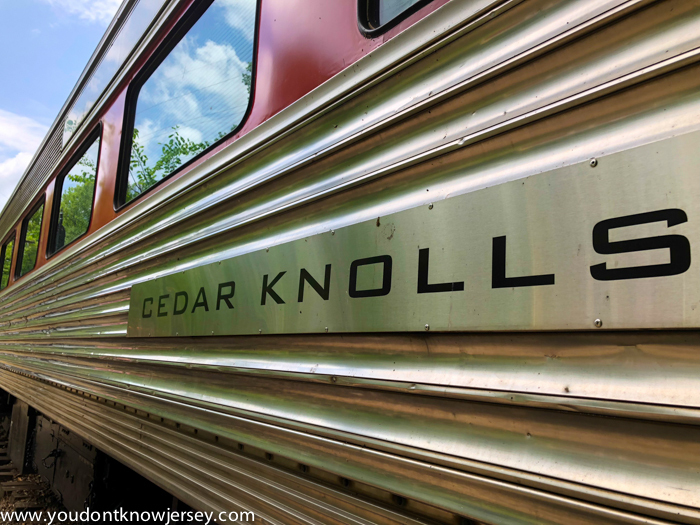 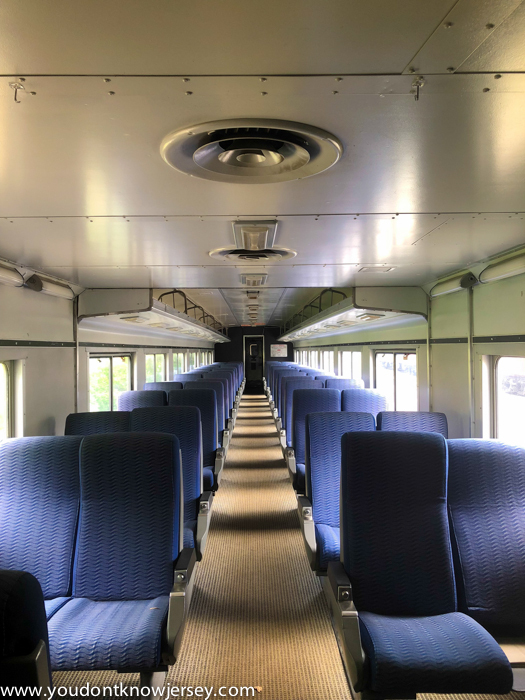 This Jersey Central car was refurbished by the museum and is one that you can ride on when they have special days for rides. 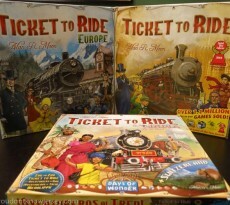 Check out their website for dates of the special rides. 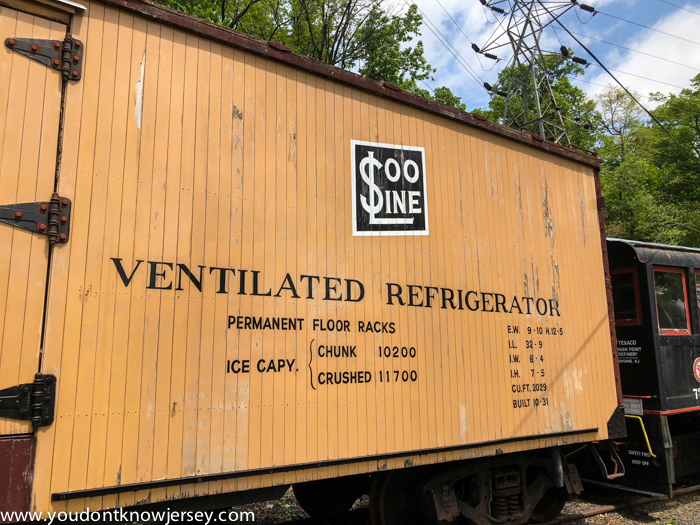 This was a local train car on the yard that you could see into. 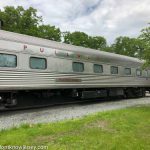 It was in pristine condition! 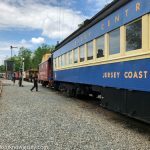 We will definitely be visiting again for one of the special days in October! 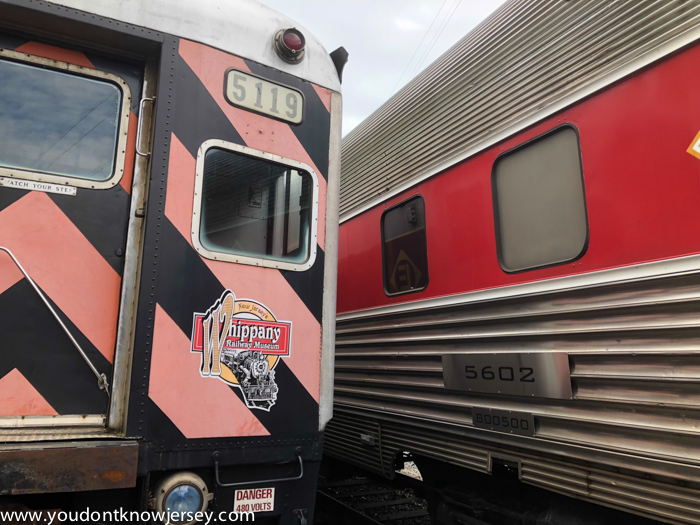 NJ Transit Ready for Bon Jovi?